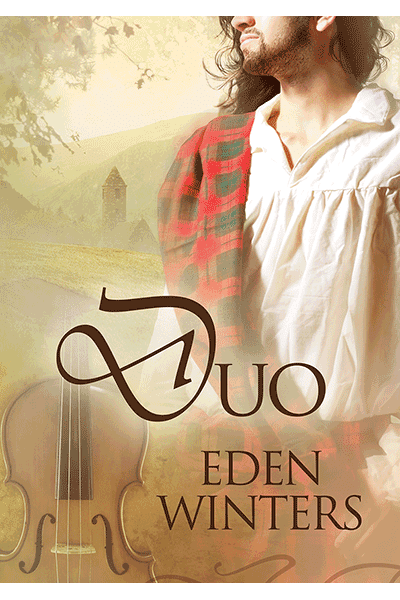 First Dreamspinner Press translated Duet into Italian, and on September 1 the story of the bold Scottish Highlander and the reserved English tutor will be available in French! Deux siècles plus tard, Billy Byerly, violoniste en tournée, arrive au château Callaghan où il se sent étrangement chez lui. D’après la légende, un fantôme hante les murs en attendant le retour de son amant. Billy ne croit ni aux contes de fées ni à l’amour éternel. Mais le Laird Disparu l’a déjà revendiqué pour sien. Find Duo now on Dreamspinner Press's Coming Soon page! Duet in italian its fantastic. Im reading now...and I have two questions: first do You think youll write a sequel and second what appened to thomas and the blond guy at the begginin of the book? Thomas and his lover were beaten, shamed, and lost their jobs, but they were not killed. Although I'm not currently planning a sequel, I believe they would have taken a ship for the US colonies. There they began teaching immigrants language and business, and as "business partners" no one thought twice of them remaining bachelors and living together throughout their lives. Their students who prospered were properly grateful financially, and our couple lived wonderful lives and traveled. I believe in happy ever afters, so wherever they wound up, they were together and happy.